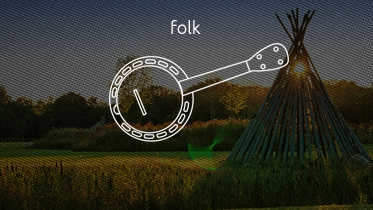 Folk music includes both traditional music and the genre that evolved from it during the 20th-century folk revival. The term originated in the 19th century, but is often applied to music that is older than that. Some types of folk music are also called world music. Traditional folk music has been defined in several ways: as music transmitted orally, music with unknown composers, or music performed by custom over a long period of time. It has been contrasted with commercial and classical styles.